Every so often, our alums return to campus to make Richmond the home for their career achievements. 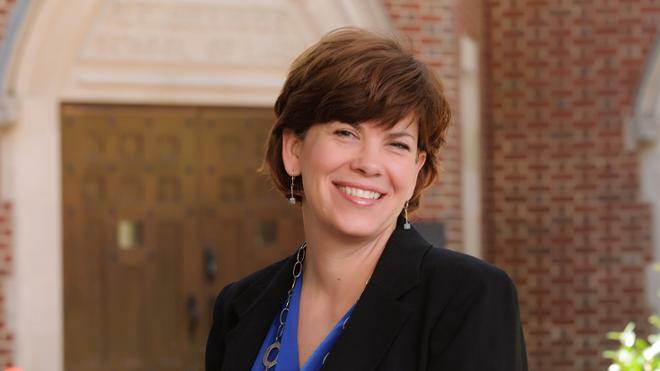 We’re lucky to have Julie McConnell, L’99, part of our faculty, especially since she just earned the title of 2018’s Woman of Achievement by the Metropolitan Richmond Women’s Bar Association (MRWBA). McConnell is the director of UR Law’s Children’s Defense Clinic and also helped publish the MRWBA’s Virginia Domestic Relations Pamphlet, a free comprehensive legal guide provided to domestic violence shelters, advocacy agencies and law enforcement agencies in both English and Spanish. Congratulations on this well-deserved honor, Julie!